Why Royal Academy Of Music? Britain's oldest conservatoire has been training students for more than 190 years. From Sir Elton John to Annie Lennox, thousands of successful musicians have started their careers at the Academy. Set in the heart of London in Regent's Park, the Academy offers students a range of degree programmes, including instrumental performance, composition, jazz, musical theatre and opera. 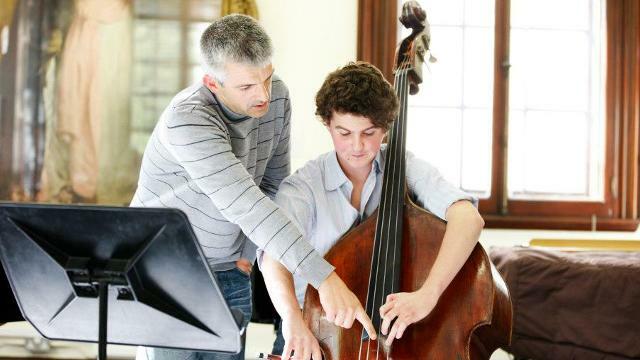 Highly-respected performers and composers make up the Academy’s teaching staff. Students also work with visiting international musicians who teach at the Academy on a regular basis. Facilities include a free public museum, state-of the-art creative technology suites and recording facilities, a range of concert halls, over 100 practice rooms and a library. Students receive prestigious University of London degrees at the end of their studies. More than 90 per cent of recent graduates are actively working in the music profession. The Academy's student community is truly international, with more than 50 countries represented. Our team of specialists supports students who need to develop their English language skills. Some students will be invited to attend an intensive English course at the Academy before the start of the academic year. Other students will attend weekly classes throughout their studies. The Students' Union organises themed parties, karaoke, comedy and movie nights. Academy students also have full access to the University of London Union's superb sports, leisure and social facilities. The Academy may be able to assist international students towards the cost of their fees. Entrance scholarships are awarded on the basis of merit following a live audition. About 700 students and 380 teaching staff. Several pre-degree courses, one undergraduate programme, postgraduate studies at Diploma, Masters and PhD levels. Notable alumni include conductor Sir Simon Rattle, soprano Lesley Garrett, and singers Sir Elton John and Annie Lennox.